• Telemedicine is the remote evaluation, diagnosis, and treatment of patients by means of telecommunications technology. • Transmittal and sharing of data from home to health care professional is an increasingly important aspect of telemedicine. 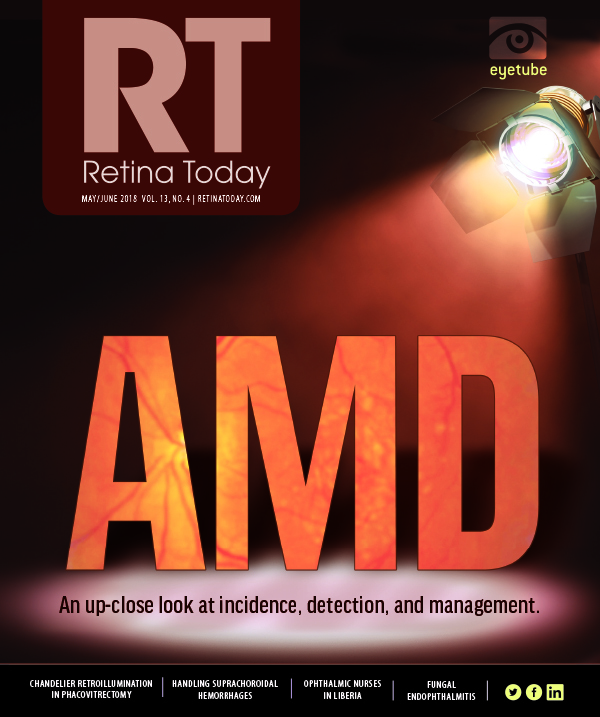 • Home monitoring technologies promise to improve the care of patients with AMD and other retinal diseases. 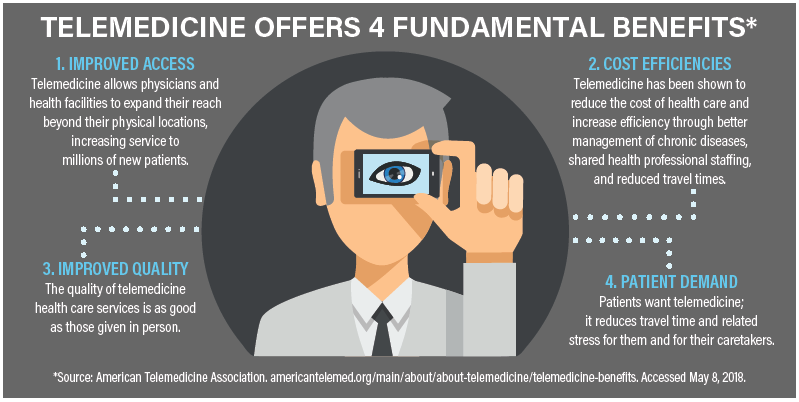 Telemedicine is the remote evaluation, diagnosis, and treatment of patients by means of telecommunications technology. The real-life examples I shared above from my clinic illustrate one aspect of telemedicine: transmittal and sharing of data from home to health care professional. Health care is increasingly moving away from doctors’ offices to patients’ homes. The explosion of cheap but sophisticated and readily available technology (ie, smartphones), the increasing desire of patients to be involved in their own health care, and the higher level of patient education on disease states throughout medicine have all made this possible. In retina, particularly in the management of AMD, our field is on the leading edge of technology-assisted remote patient monitoring. If you think about it, retina specialists were likely among the first physicians to incorporate home monitoring in the care of patients with AMD. The Amsler grid is a useful, time-tested home monitoring tool. It is inexpensive and easy to use—two key features of a screening device. But it’s not perfect, and it doesn’t fit into the category of telemedicine. Patients may not use it regularly, they may not use it correctly, and the neurologic phenomenon of “cortical completion” may reduce its sensitivity for identifying early changes. Additionally, there is no automated transfer of abnormal Amsler grid results to a patient’s retina specialist, and there is no assurance of compliance. The next step in modernizing home monitoring for patients with AMD harnesses the power of telemedicine, and three companies are leading the way.